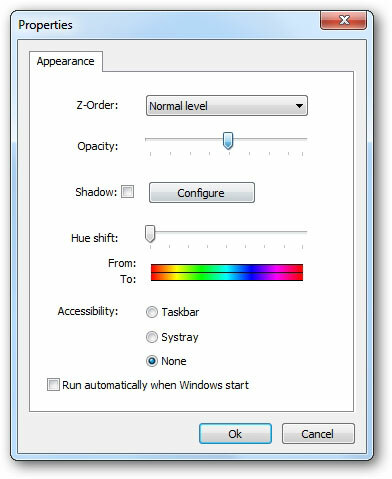 Taskbar Drop Shadow is a free portable tool developed by sweatyfish at deviantART which allows you to add a drop shadow to your taskbar. Run Bottom TB Shadow.exe if your taskbar is on the bottom or Top TB Shadow.exe if your taskbar is on the top. If you want to change its opacity, right-click on the taskbar shadow, choose Preferences, slide Opacity as you want and click OK.